You're a real mom with a real baby. Give yourself the nourishing support of real food. 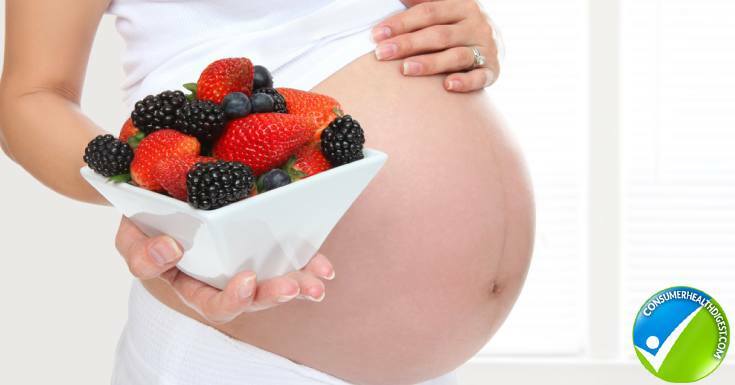 Check out the top 10 prenatal and postpartum foods. If you are pregnant or have children, you may have researched nutrition recommendations while expecting. When I was pregnant, I did a quick Google search, showing me that mainstream nutrition sources typically advise pregnant women to consume six to eleven servings of bread and grains each day, as well as four servings of dairy. These guidelines may seem “normal” by today’s standards, and yes, they are normal; however, these recommendations are extremely faulty and actually contribute to serious medical conditions that run rampant in today’s population of pregnant women, including gestational diabetes and excessive weight gain. After I calculated the macro-nutrients (carbohydrates, protein, fat) and sugars, I found that the majority of the typical daily meal plans for pregnant women included 100 grams of sugar, as well as an abundance of high-glycemic carbohydrates from processed foods. Common wisdom states that we need several servings of wheat and dairy products to obtain the fiber, folic acid, and calcium requirements needed for pregnancy and beyond. In reality, the reliance on these foods isn’t necessary as many whole foods will provide even more fiber, naturally occurring folate, and calcium than their wheat and dairy counterparts. As an added benefit, limiting processed wheat and dairy products results in less consumption of additives, preservatives, and hormones, which is beneficial for mother and fetus. If you focus on eating the following ten foods, you will you get the required macro- and micro-nutrients necessary for pregnancy and the postpartum period while consuming less sugar, processed carbohydrates, and numerous harmful ingredients and components such as high fructose corn syrup, carrageenan, soy lecithin, and estrogens. Dark leafy greens such as kale, broccoli, collard greens, and spinach make a wonderful foundation for the prenatal and postpartum diet. 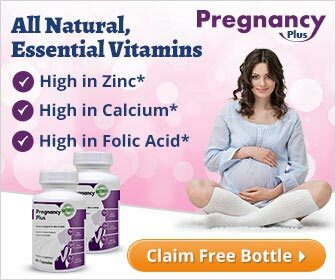 Eating several servings of these each day is extremely advantageous for the pregnant woman and baby. 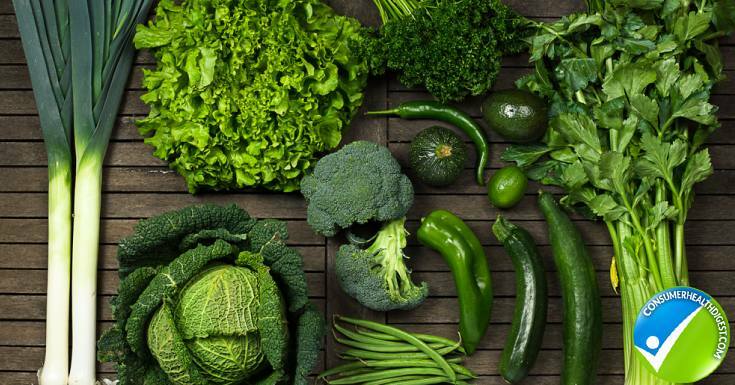 Nutrient-dense leafy greens are low-sugar, unprocessed carbohydrate sources, packed with micro-nutrients such as folate, iron, vitamin C, and potassium, and are loaded with fiber, which will aid in digestion and regular bowel movements. These dark leafy greens are ranked in the top twenty (of all foods) on the Aggregate Nutrient Density Scale (ANDI) as they provide the most micro-nutrients per calorie! Avocados have special properties as they are one of the only fatty fruits! Like dark leafy greens, avocados provide a variety of essential micro-nutrients and fiber. Avocados are a wonderful source of healthy monounsaturated fat, which is critical for the development of your baby’s nervous system, heart, brain, and eyes. As an added benefit, good fat helps to keep you feeling full for longer, fending off common pregnancy and postpartum nursing cravings. Avocados can be eaten plain, added to salads and smoothies, or mashed into your favorite guacamole recipe. 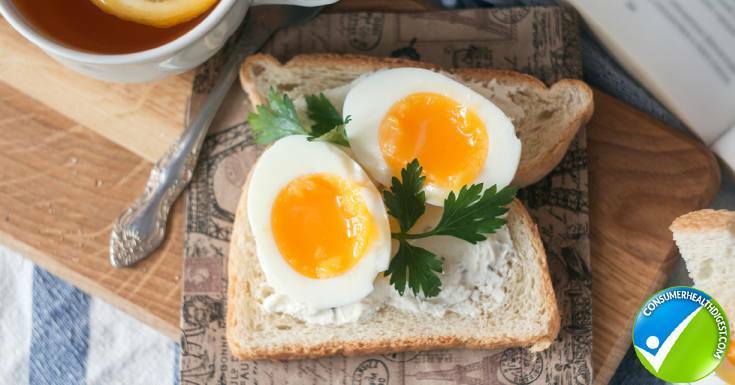 Eggs are a balanced mix of quality protein and omega-3 fatty acids. Protein and fat are two of the primary building blocks for fetal growth, and animal sources of omega-3 fatty acids are particularly helpful to your baby’s brain and eye development. Eggs also contain choline, and recent studies are now suggesting that choline, like folate, is critical for proper spinal cord development. Adequate amounts of choline can assist in the prevention of spina bifida. In addition to being an outstanding source of protein, wild salmon contains essential omega-3 fatty acids. The omega-3 fats found in these types of salmon include generous quantities of vital docosahexaenoic acid (DHA) and eicosapentaenoic acid (EPA), which are the long-chain omega-3s known for being most beneficial for eye, brain, and heart health. Wild salmon also contains selenium, niacin, vitamins B6 and B12, riboflavin and significant amounts of vitamin D, which can be difficult to find in most foods. If you have never prepared salmon, try baking it for ten minutes at 400 degrees Fahrenheit and topping with a mixture of one part whole grain mustard and one part honey, and then baking for an additional five minutes. Note: If you choose canned salmon, look for “Wild Alaskan” on the label. Blueberries, raspberries, strawberries, and blackberries are excellent sources of vitamin C. When you’re expecting, your immune system is slightly compromised, so you may be more susceptible to colds and flu. It is very important to get enough vitamin C, while not consuming too much sugar (like from orange juice) at the same time. Also a great source of fiber, these low-sugar fruits provide phytonutrients, which help to prevent disease and aid in your overall well being. Berries are a delicious dessert, especially when paired with dark chocolate! Lentils are good vegan sources of protein and iron. They also contain a superior amount of folate, which has proven to prevent neural tube defects (birth defects of the spine, spinal cord, and brain). Just 230 calories of lentils provide a whopping eighteen grams of protein, fifteen grams of fiber, and 358 milligrams of folate (600 mg per day is ideal during pregnancy). In addition to protein, iron, and folate, these legumes contain a wide variety of micro-nutrients including but not limited to manganese, zinc, potassium, copper, and Pantothenic acid. Lentils can be used for a variety of soups, stews, and dinner side dishes! An excellent unprocessed, fibrous carbohydrate source, sweet potatoes will help to keep you satiated while maintaining even blood sugar levels when eaten in conjunction with extremely low-glycemic carbohydrates, such as dark leafy greens. Their rich color is due to the fact that they contain the powerful antioxidant beta-carotene, which boosts your immune system and helps to fight off disease. Beta-carotene converts to vitamin A, which is necessary for mother and baby; vitamin A is important for the development of your baby’s lungs, heart, kidneys, bones, and eyes, as well as the central nervous system. Keep in mind that boiling your sweet potato with the skin on will result in a low glycemic index (GI) score of forty-six, leading to a lower rise in blood sugar. 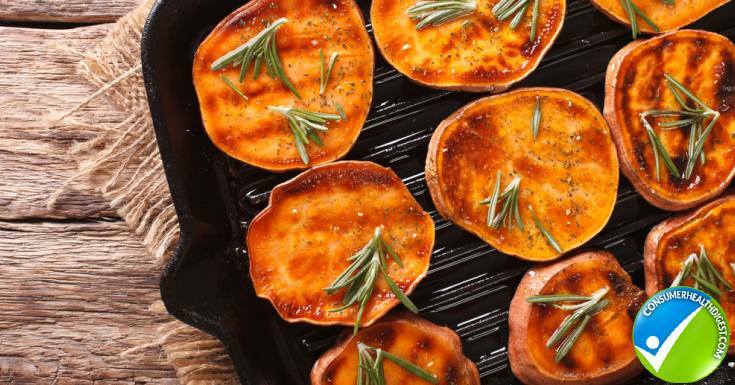 If you bake your sweet potato for forty-five minutes, the composition and quality of the starches change, causing the GI score to jump to ninety-four, which can result in a blood sugar rise that is too high for women with gestational diabetes. You don’t need to eat red meat for a healthy pregnancy and successful postpartum weight loss, but if you do, try to opt for grass-fed and organic to minimize environmental toxins found in many conventional animal proteins. Although the concentrations aren’t quite as high as in wild salmon, grass-fed red meats such as beef, lamb, and venison have moderate amounts of essential omega-3 fatty acids that contain DHA and EPA as well as their substantial protein content. In addition to substantial concentrations of Omega-3 fatty acids, red meat (and poultry) provides protein, iron (at least 27 milligrams is needed during pregnancy), zinc, vitamins B6 and B12, niacin, and riboflavin. If you’re a vegan or vegetarian and are looking for the best option for DHA and EPA, seaweed is the most superior vegan source! 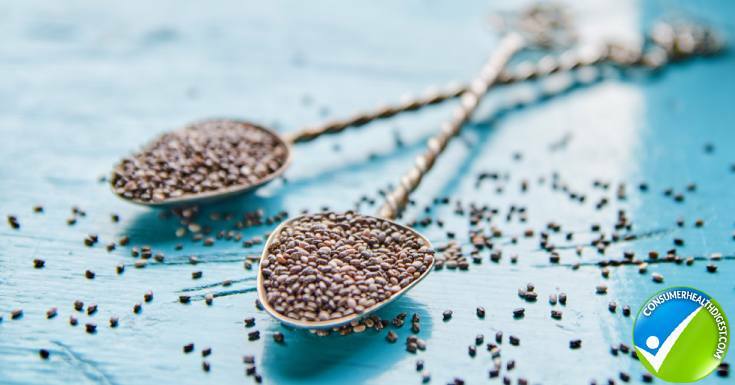 Chia seeds, another vegan source of protein, are packed with nutrients, providing substantial amounts of good fats, complex carbohydrates, fiber, vitamins, and minerals. They are also high in alpha-linolenic acid (ALA), which is a plant-based omega-3 fat. Unlike other other healthy seeds, Chia seeds do not have to be ground up before consumption, so they are a bit more convenient. Relatively high in calories, a tablespoon or two in a shake or as a salad or as an oatmeal topper will do. We all have “good” and “bad” bacteria in our bodies. Probiotics are known as the “friendly bacteria” and consist of Lactobacillus acidophilus, Lactobacillus bulgarius, Lactobacillus reuteri, Streptococcus thermophiles, Saccharomyces boulardii, Bifidobacterium bifidum, and Bacillus subtilis. During pregnancy, the bad bacteria tend to increase, so consumption of good bacteria via probiotics may be beneficial for both mother and baby. Foods that naturally contain probiotics are Greek yogurt, kefir, dairy-free kefir, apple cider vinegar, dark chocolate, and brine-cured olives. Also known as a superior probiotic food, sauerkraut actually does not contain a substantially diverse amount of friendly bacteria; however, its organic acid content does support the growth of good bacteria. Focusing on these ten prenatal and postpartum foods will help you have your healthiest pregnancy and a quick return to your pre-baby body. These foods also will assist you with nursing (if you choose to do so), and with having enough energy to keep up with the demands of caring for your newborn. Prenatal and postpartum nutrition may seem like a complicated topic; however, it’s quite simple if you keep a primary rule of thumb in mind — stick to nutrient-dense whole foods. Eating unprocessed meals and snacks, with naturally occurring nutrients, and no additives or preservatives is the best choice for mother and baby.